Spring is just around the corner! A big priority item for homeowners are HVAC spring tune ups. A lot of HVAC systems are unfortunately neglected because of the “out of sight and out of mind” attitude—many homeowners just do not consider any maintenance measures until they stop working. Would a spring HVAC tune up be worth the price? We say yes—this cost-effective service saves you from a lot of pain in the future. Keep on reading to find out more about HVAC tune ups and the associated costs. We’ll also give you our HVAC tune up checklist so you can stay ahead of the curve when a technician stops by this spring. Are HVAC Tune Ups Worth the Cost? That’s a strong yes—an HVAC tune up is worth the cost. Just the same as a car, your HVAC unit is an intricate hunk of machinery that is used thoroughly during the year. It’s full of important moving parts that encounter wear and tear over time. Similar to your vehicle, your HVAC system does not function at its best if it’s worn down and neglected. If you choose an HVAC tune up, problems of wear and tear are fixes. Your technician also inspects your system to see if other problems could cause a breakdown down the road. Such issues are found early so a breakdown and more expense damage does not occur. Breakdowns put your HVAC system out of operation. What price would you put on the comfort of your family? Air conditioning repairs, and unexpected ones most of all, are not always cheap. An HVAC tune up can help you prevent these unintended expenses. 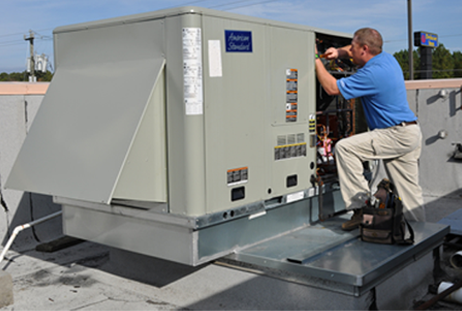 HVAC tune ups provide lower energy consumption and better performance for your unit. The immediate result is increased comfort and reduced energy bills. The contrast in your energy bills throughout the coming cooling season might end up paying for the price of the tune up and more. A maintained HVAC system will have a longer lifespan—meaning more years of service. It isn’t a secret that installing a new HVAC system is costly. Ignoring a system, imparting in a lessened lifespan, can cost hundreds or even thousands in premature replacement fees. The cost of HVAC spring tune ups depends on which contractor you use. This twice-a-year preventative measure typically runs $100-$200. The majority of contractors are going to offer savings options. On top of potential new customer special rates for HVAC tune ups, many HVAC contractors provide something termed a preventative maintenance agreement (PMA). It might also be called something like a “Comfort Care Club” or “Service Plan,” but whatever it’s called, such plans are generally meant to help you care for your HVAC equipment in the best possible way.